When apprenticing in Italy I happened to be visiting with some cloistered nuns. 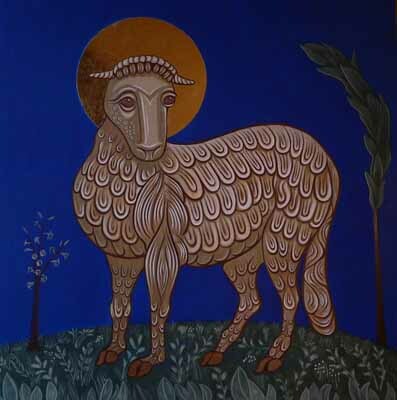 Through their visiting window I saw an lamb icon. When I returned to the U.S. I wanted to create one like it but could only find a reference photo of this lamb on a small broach. I hope to one day do another like it on a round panel.